Croatia has it all for a great vacation! | Croatia4me - Jouw vakantie naar Kroatië begint hier! Zagreb – photo ©EMRE d.o.o. No longer overlooked by tourists, because the Croatian capital Zagreb offers bustling centre with many shops, old streets and squares with bars and restaurants, many beautiful Austro-Hungarian architecture, an abundance and large variety of museums and galleries, interspersed with quiet, green parks and cosy hidden courtyards. 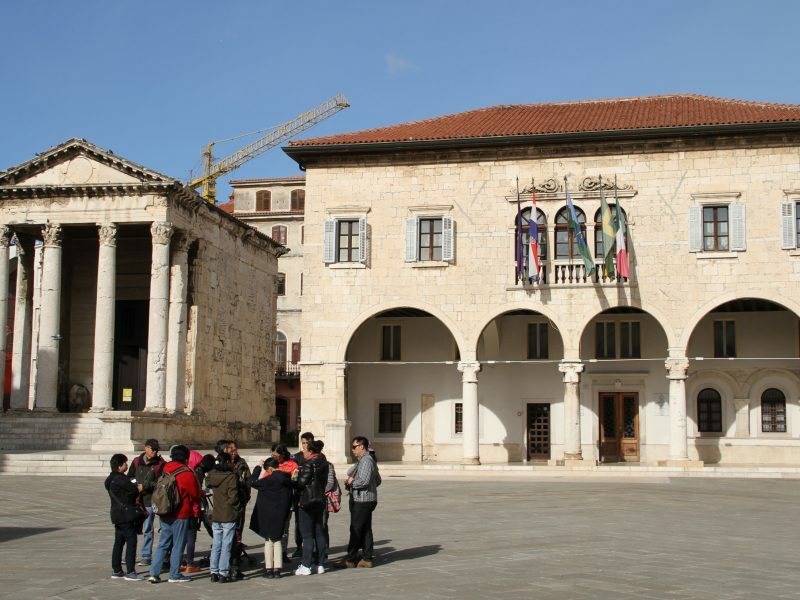 The place where all activity converges is at the Ban Jelačić Square at the heart of the city, here the city trams stop and the plentiful cafes here are popular meeting places on the corner you find the tourist information centre. Right north of the square you find the open-air fruit and vegetable market – called Dolac. Walking from her west- and north-wards along the slowly ascending cobblestone streets you pass 19th-century palaces and old buildings all the way up to the charming upper town. Along the way visit the magnificent cathedral, the medieval Stone Gate, the Strossmayer Promenade, and museums. 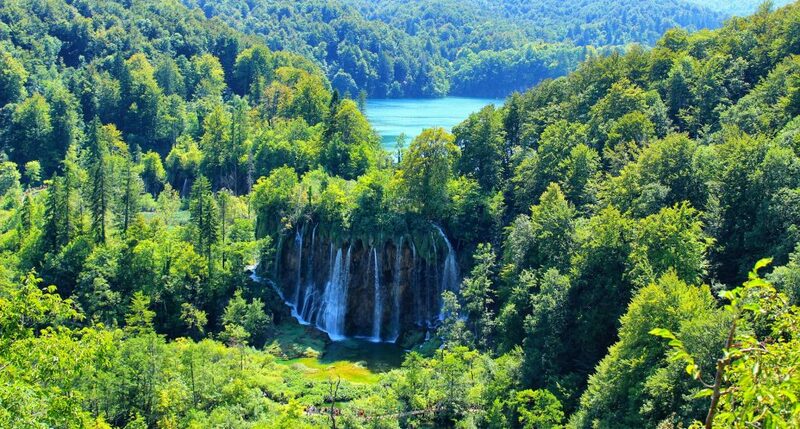 One of the most famous national parks in Europe and a UNESCO World Heritage Site is the Plitvice Lakes National Park. Here you find vibrantly blue and green coloured fresh water lakes, rivers and waterfalls, which can be viewed along the marked hiking trails while passing through forests along the way. At many places wooden walkways and bridges have been made crossing the many streams and lake sides to make this special watery world easy accessible. Each season has it’s own charm with higher or lower water-levels, fresh green spring leaves, vibrant autumn colours or idyllic white and frozen winter scenes. The summer months, however, are the busiest, with up to 15,000 daily visitors, and for this reason, spring and fall are the ideal times of the year to explore the park. Varazdin Old Town Castle – photo ©EMRE d.o.o. 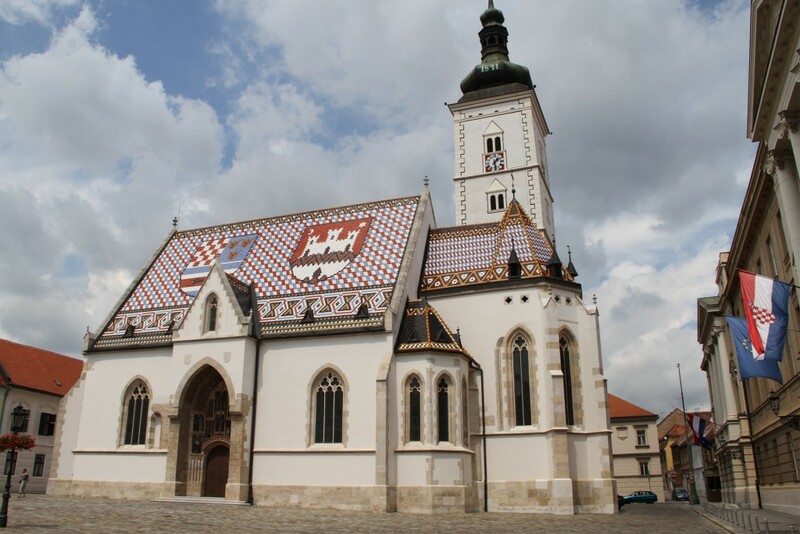 This northern Croatian city is also known as “Little Vienna”, because of its Baroque architecture and as Varazdin was the Croatian capital from 1756 to 1776. Although this was a very short period, short cut due to a fire in 1776, resulting in moving the capital back to Zagreb. However, in those two decades, noble families, the catholic church, and wealthy tradesmen attracted the country’s best architects, builders and painters to construct mansions and palaces, which are still visible today. The car-free historic centre of Varazdin boasts nicely restored baroque architecture, café’s, ice cream parlours, restaurants, shops, a fresh fruit and vegetable market, many churches, colourful gardens and parks and events that brighten up the city. While strolling through this baroque city you should not forget to visit the old Town castle which contains the city museum. Dubrovnik – photo ©EMRE d.o.o. 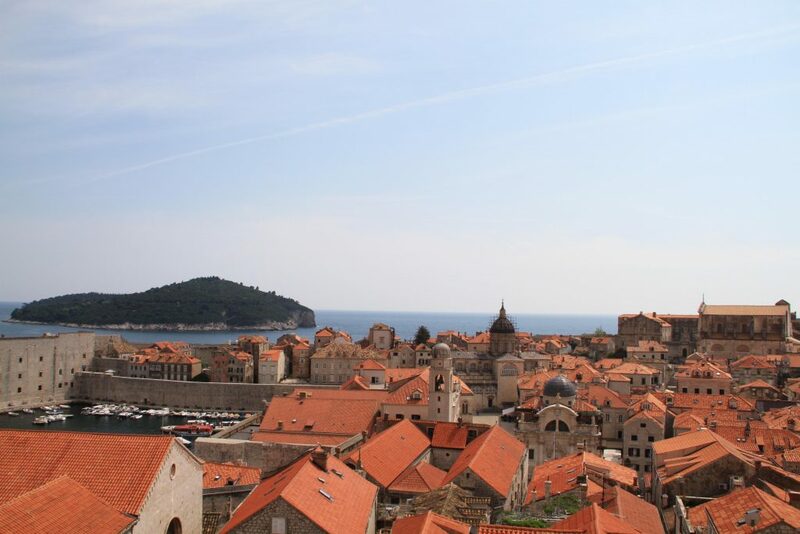 Known all over the world the UNESCO-listed medieval walled city of Dubrovnik has been a tourist attraction for ages, but as the city has featured in the enormously popular tv-series Game of Thrones has made it a must visit place for many people. The main tourist attraction of Dubrovnik are its massive defensive stone walls dating back to the 10th century, which encircle the old town and can be walked around on via a broad walkway. From the wall you have breathtaking views over the clear blue Mediterranean sea, orange terracotta roofs, grey cobblestone lanes, and many church towers. The old town is traffic free giving you the opportunity to leisurely walk along the ‘stradun’ the old main street with little shops, visit the 16th century Church of St Blaise, the Franciscan Monastery, the harbour, and the unique round Onofrio Fountain. Wander along the narrow streets throughout this ancient city and explore the small café’s, shops, chapels, a centuries-old fountain and flower-filled courtyards. Rovinj – photo ©EMRE d.o.o. Located on the coast of Istria, the western most part of Croatia close to Venice, you find romantic Rovinj. 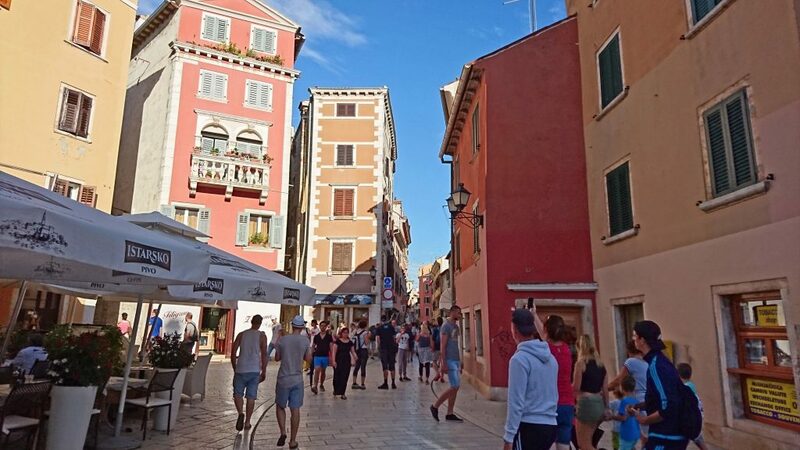 The origin of this fishing town dates back to Roman times and Rovinj’s compact old town occupies a small peninsula that points out into the Adriatic Sea and is made up of colourful buildings and former Venetian-style palaces. You cannot miss the 197-foot-high bell tower of St. Euphemia’s Church, and if you want you can climb up the narrow 200 steps of the tower where you are rewarded with breathtaking views over the blue Adriatic sea, some small islands and the rooftops and narrow streets of the old town. Along these cobbled car-free narrow winding streets you find, small shops selling souvenirs, jewellery and local artwork. Walking along these streets you end up at the promenade with it’s fishing port, restaurants, café’s. In and around Rovinj you find plenty of hotels, campsites, apartments and many sunny beaches. Split – photo ©EMRE d.o.o. Split is Croatia’s second largest city and it is also one of its top destinations, because of it’s location along the sea, the many beaches, resorts, its well-preserved city centre dominated by 4th-century Diocletian’s Palace. This UNESCO World Heritage Site is an ancient walled complex and is a small city in itself. Here you lose yourself in a maze of small cobbled streets throwing you back in time with churches and chapels, were it not for the modern shops, cafes, museums, galleries and restaurants. 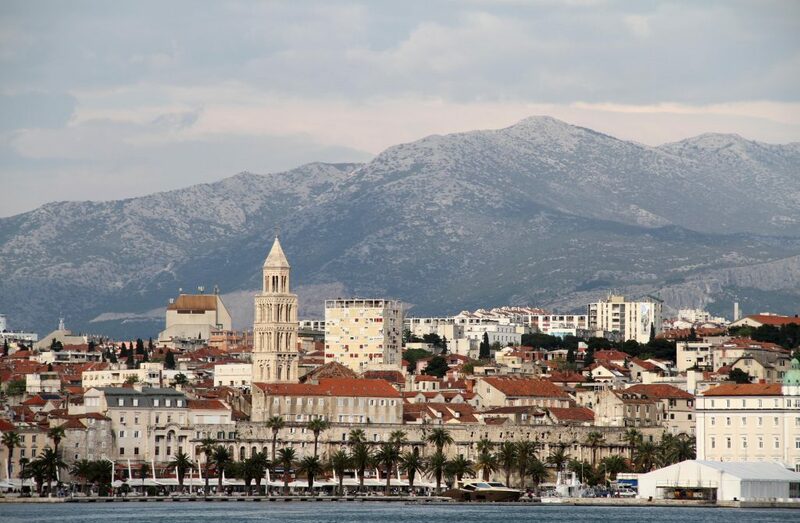 The focus is the tower of the St Domnius cathedral, and a climb up its bell tower reveals panoramic views over the entire complex, as well as Split harbour, the surrounding sea and the mountains to the north. The seaside promenade – Riva – is lined with cafes and restaurants, her it is busy at any time of day, and is the place to see and be seen. From Split you can visit the surrounding islands of Brač, Hvar, Korčula, and Vis (Mamma Mia 2 has been filmed here), with regular ferry services linking them to the mainland. And as an added bonus you can visit the nearby clifftop Klis fortress that is featured in the TV series Game of Thrones as the city of Meereen.